The hot dog roller Bbq Grill Rack Bbq Grill Basket made by durable stainless steel, 6 stick design holds up to 5 hot dogs or sausages at a time, grills evenly with no charring quickly right on top of the grill. The sausage roller rack with mirror polishing on surface, that is good smooth keeps food up off the grill,easy roll to turn.The Bbq Accessories hot dog roller is construct with two ears handle, so it can be heat proof and move easily .Constructed of durable brushed stainless steel and featuring handle. The bbq Grill Tools Set ,BBQ Tools with aluminum case ,Bbq Tools with plastic case. Looking for ideal Hot Dog Roller Manufacturer & supplier ? We have a wide selection at great prices to help you get creative. All the Bbq Hot Dog Roller are quality guaranteed. 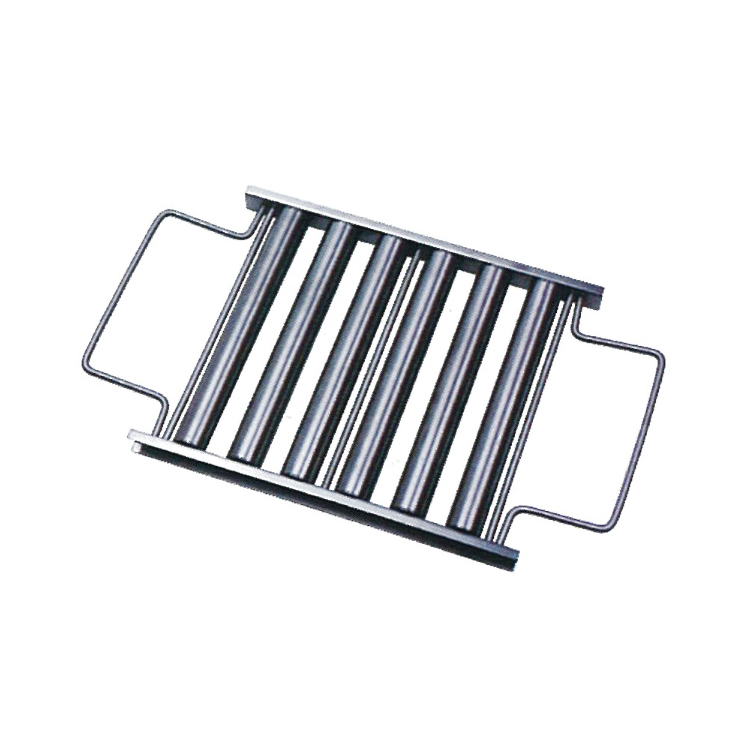 We are China Origin Factory of Stainless Steel Bbq Roller. If you have any question, please feel free to contact us.